Are Internet Friends Real Friends? 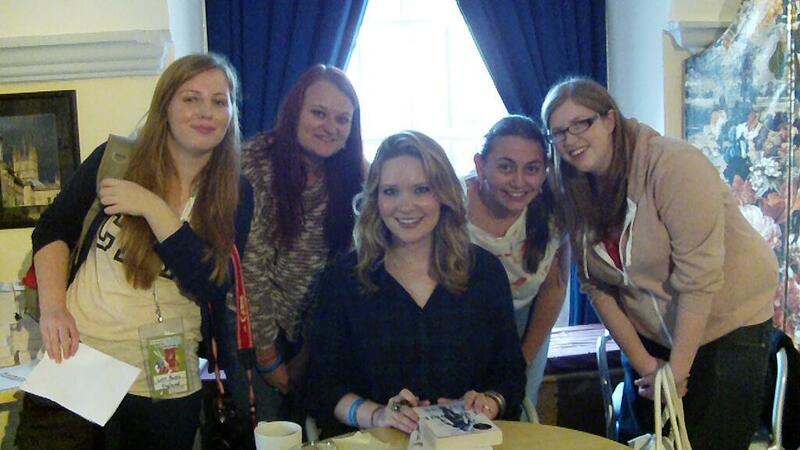 Meeting Sarah J. Maas with Katie, Debbie and Faye! I have loved the Internet ever since I started using it from a young age. I was always a very technological child and used to spend my days around the age of seven playing on games like Club Penguin, which I think quite a few people my age will remember. I cringe at my past self. Of course, you have to be cautious on the Internet and I know that. I won’t go too much into The Rules though today, I just wanted to offer some background. I’ve been super lucky since starting my blog in April 2012 to meet some amazing people. I’ve been to book signings, met up with people at events and discovered that Internet people = real people too. So, are Internet friends real friends too? My immediate answer is, of course! There is, however, a longer answer. I’m always more cautious with Internet friends. Some people have a tendency to only show one side of themselves. Everyone does this to an extent, but some more than others. This can have really bad side effects and has meant I’ve been bullied online before, and I hate that this goes on in our community and people are unaware of it. On the plus side, the Internet people I’ve met face to face have all been SUPER DUPER lovely! It can be awkward at times when you have to try and figure out conversation and get used to the person ACTUALLY STANDING IN FRONT OF YOU AND BEING REAL, but every second is usually awesome. I have so much in common with the people I’ve met because we all love books which connects us to a very high level. It’s also awesome when you get to find out new traits and depths to a person that can’t be shown on the Internet. So if I’ve met you in the past, I can guarantee I pretty much love you! Internet friendships are very real, but some can turn nasty just as they do in real life too. I’ve made some very good friends online, but I’ve also been bullied online too. I think you have to be very cautious, however lovely they may seem! 🙂 The bookish friends I’ve met though are amazing. Such a lovely post, Lucy! I haven’t had the chance to meet any of my blogging friends IRL yet, but it’s something i’m very much looking forward to! 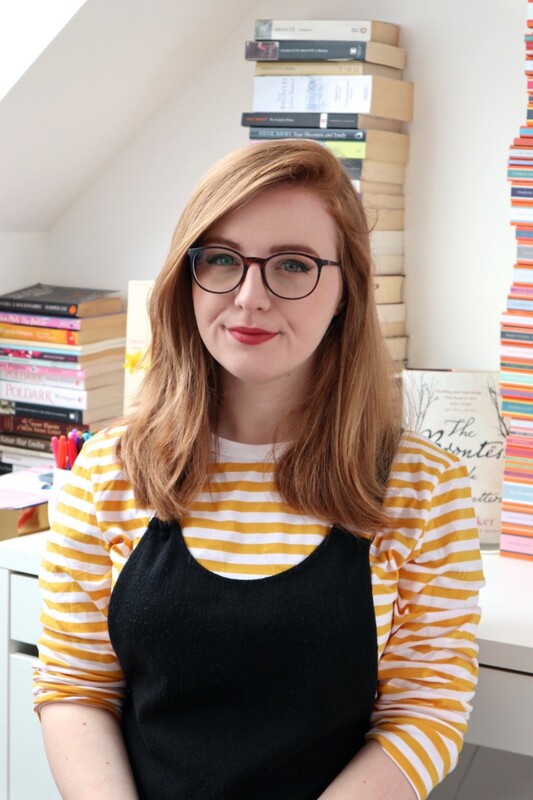 I love being able to talk about books with people and since a lot of my IRL friends don’t share the same amount of passion as I do for books, it just makes me so much more glad that I’ve had the oppurtunity to meet people through blogging. And hopefully soon, I’ll be talking to those people face to face! Yes, I LOVE all my Internet friends and definitely say they’re real friends! My mum pointed out something to me that I thought was really interesting on the subject though. When I said I wouldn’t like all my real life friends to start reading my blog – I blog to escape real life after all! ;P – she replied with: “It’s probably because you strive to be the person you want to be most on your blog”. Which I think carries some truth in it. In blogging, I feel like I’m really myself – sometimes more so than I feel with certain friends! So I can’t help but love my internet friends because it’s as if they accept me truly for who I am, if you catch my drift? I don’t really have any real life friends (gosh that sounds sad), but I do have at least one internet friend I can count as a real friend! Ha, sometimes I think internet friends are better friends than the real life kind 🙂 I agree, you have to be careful, but really, it’s the same for the real life people you meet too! To be honest, I feel closer to my online friends than my real life friends. I’ve kept friendships longer online than real-life. My online friends have always been there to support me – many I’ve met irl and become the type of friend that, even if you don’t talk to them a lot you know they’ll always be there for you – whilst I’ve been bullied by real life ones. My gaming friends especially have been amazing – we’ve told each other many of our darkest secrets that we can’t bear to show the world. And since blogging I’ve met so many other people to understand my fangirly tendencies where real life friends think I’m weird. I agree with you so much, I’ve been bullied online and so I’m always cautious as to who I become friends with. But I think that the people I’ve met online who I get on well with and talk to (like you!) are friends to me, and I’d consider you as friends in real life. I really like this post 🙂 I have made some of my best friends online, hell I even met my boyfriend via online dating. There just isn’t always the type of people you click with living nearby and not all the people you find online are creepers, it’s a matter of being on the right websites. I met my best friend on the Twilight Lexicon waaay back in 2008 and when we actually met IRL for the first time it was like we’d known each other all our lives. Ray recently posted…May Reading Round-off – ALL THE RE-READS! I actually think I talk to people more online than I do IRL… This probably makes me sound so weird but I’ve only ever met up with school friends *outside* of school, like, once xD Whenever I’m out meeting friends, it’s at a blogging event, where all the people I talk to I’ve talked to online first. Interesting post! I’ve never met anyone that I know from the internet in real life. But it seems like so much fun, but I’d also be very nervous! Jess Hearts Books recently posted…May Round Up and Book of the Month! I like to think that I’m quite cautious on the internet. As long as someone isn’t always completely trusting (It’s good to have a bit of doubt at first) I think you can be safe and still have fun and meet amazing people! Thanks for the discussion! End of the week: Blog loving you!